Customers For Life is our philosophy at Nuford Wangara, so customer feedback is very important to us. These are some recent examples. We enquired about a car online Monday evening, received a phone call Tuesday morning to set a time to view the vehicle and drove home in it. 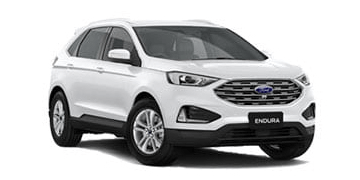 Mark and the rest of the staff at Nuford Wangara were nothing but professional, nothing was to much trouble, the most relaxed we've ever been whilst buying a car. 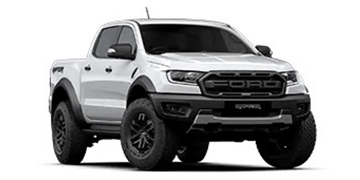 Thank you very much Peter Snow (New Ford Sales) for the unexpected upgrade, it was worth the wait for our second Ranger. Finalising the deal with you at the end was very well managed. Again thank you and also to Jo for organising our finance. 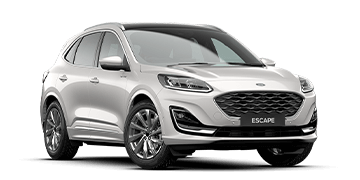 Natalie is an exceptional sales consultant - a totally genuine person - no sales patter, non pushy, no plastic smile - she has 'Ford' DNA in her blood so she's highly knowledgeable and enthusiastic about the brand. She made the buying process actually enjoyable! It was the easiest process we've been through. We heartily recommend her. Thank you Natalie. I bought my new Ranger at Nuford Wangara recently. Monika made the experience very positive. She is friendly, enthusiastic and knowledgable. Her customer service is excellent and nothing was too much trouble, I asked a couple of questions of her which she answered promptly and had a small issue before I picked up the car and again she was straight on it and put my mind to rest. I would buy another car from her without hesitation. Thanks Monika and thanks Nuford. 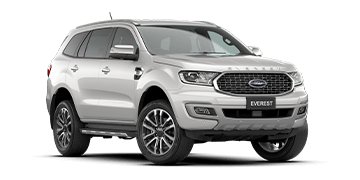 I would like to thank Natalie for her assistance in finding me a Ford Everest recently. Her professionalism, knowledge of the car and overall help and assistance was the best, and less stressful, I have ever experienced in almost 40 years of buying cars. I will definitely be referring friends and colleagues to Nuford and in particular Natalie. And the Everest is an absolutely amazing vehicle. I love it more and more every time I drive it. I am writing this letter in appreciation for your support in our time of need. On the 29th of September 2016 I had a major fire at my house in which half of my house was destroyed and 4 of my cars were write-offs; we were devastated. It was the worst experience of my life, we had nowhere to live and no vehicles left to drive. I had met you a few months prior to the fire at the Nuford Dealership whilst waiting for my cars to get worked on; you made me a coffee, we had a quick chat and a laugh then I was on my way. After hearing what had happened to me and my family in this devastating time you phoned me to ask of what assistance you could be in which you offered me loan cars to assist me in my time of need; I was very humbled. I realised then that there is still some genuine people left in the world! You did not need to do what you did as I had not brought any cars from you and had only met you that once at Nuford. I am writing this letter to you to say that you are a kind person a great person and a great asset to AHG. For what you have done for me and my family in appreciation I brought 2 Ford Rangers from Nuford. I have since been referring more people to you. Once again I want to thank you for your ongoing support, your kindness and I can’t wait to do business with you in the future. I recommend anyone to buy a car from you and Nuford. I'm loving my new car. 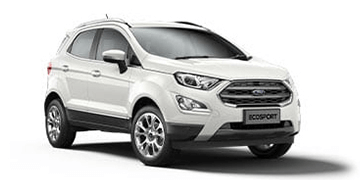 I wouldn't hesitate in recommending Ford to my friends and family based on my experience. Went to buy a new car and was met by Sheldon... Mate you are pleasure to deal with an made the experience of buying a car pleasurable. Great customer service, extremely polite and helpful. Would highly recommend him to anyone! The whole team there were extremely helpful and always checking if I was being looked after. Service second to none. Well done Nuford you definitely stand out in today's competitive market . I have just purchased my 5th car from NuFord. As always, the service and assistance from Cuan Camilleri was first class. I really appreciate that he is helpful without being pushy. I would highly recommend Cuan to anyone looking for a new Ford. I'd like to thank you for your terrific service last Thursday when I brought in my EL Falcon for a service + other works. There is a big banner sign behind the service counter that reads something to the effect of if you`re not happy with our service then please tell us. I'm sending this to tell you - I'm happy with your service. Nufords prices are competitive in line with other service centres locally in the northern suburbs of Perth. Taking into account that your well equipped workshop has Ford + well trained technicians that have the ability to perform various works in a timely + a cost effective manner, this makes Nuford a much more attractive venue that alternative workshops I`ve encountered. Clearly you are busy, however I was left with the impression that nothing was too much trouble for you; You took the trouble to email me throughout the day letting me know of other issues pertaining to my car, you also took the time to answer a few phone calls and get the workshop to replace that faulty globe + adjust the rear brakes / Handbrake etc. Which were extras + not booked in for that day but they did it anyway because I wanted it done. I happen to live within about 10 to 12 Minutes of the dealership, I was able to be picked up from home in the afternoon by a very courteous lady in the bus + returned to the dealership. One big headache not to have to worry about. Six Months roadside assist – Sweet, what a great benefit for someone like myself driving an EL that was manufactured late 1996 with 380,000 KLMS on the clock, although she very rarely has ever let me down because I spend money on maintenance. My car was washed + vacuumed. You took the time + trouble to run through the invoice with me accounting what works had been carried out + pricing, although I already knew, it was important to get final clarification. In summary, I'm a busy man, I work Seven days a week, primarily as a truck driver, in the transport industry it is common for that truck to be on the road at times with restrictive margins for error. What employers + transport customers don’t want is a phone call to say I slept in, or sorry mate but my car broke down, that’s why it was a pleasant experience knowing that I can rely on my car and if there are any issues you people will let me know of any foreseeable issues that need attending to. My experience with you + Nuford on this occasion was smooth + easy, like the rest of the population I don’t want friction, just a good result, value for money, + a pleasant team to deal with. It can be seen throughout your dealership your Motto being 'Customers For Life', if you keep up the great work, as you have with me on this occasion in this very competitive market then I am more than happy to keep coming back. Thanks again Kasey, nice work mate. What a pleasure. I have bought a lot of cars over the years and mostly the experiences have been stressful and frustrating. Dealing with NuFord has been an exceptional experience... these people really do care about their clients. From the moment I walked into the yard to the time I drove my new (used) car home I had no reason to feel anything other than looked after and appreciated. After sales was also exceptional a small issue was quickly rectified on the car this dealership went out of the way to assist me when strictly they didn't have to. Many thanks to NuFord for caring and making the experience one that I will definitely share with all my friends. Well done NuFord team great work. Thank you for the wonderful experience of dealing with such dedicated and friendly staff at Nuford. Right from the first contact, I was greeted and made very welcome through to the delivery stage of my new car. Your team is worthy of any rewards for outstanding service, right down to the small things like being offered a cup of coffee while you wait, to the execution of making your customers happy with knowing their every need is catered for. Nothing was too hard for your team. Well done. Just want to give a big thank you to Mark Halls and Finance for all their great help with the recent purchase of my pre-owned Ford Mondeo. Thanks to Mark for pointing out the vehicle in the first place, it certainly wasn't something I had thought about. And secondly thanks to Finance for the very prompt turn around. A great experience, which I will take great pleasure in passing on to anyone looking for a vehicle. I never write testimonials, but I just have to say this............ Nuford - Is The BEST car Dealership I have ever done business with!!! If you don't want the typical car salesman pitch, go to these guys! Not once did they push me into a quick sale and were nothing but helpful. 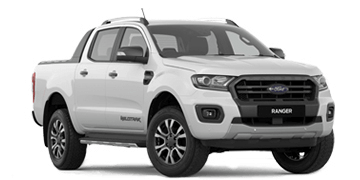 Cuan Camilleri and Justin D'Costa have given me the best customer service I've ever had, they all helped me out to get myself into a Ford Ranger XLT, I cannot thank these guys enough!! A+ for customer service!!!!!!!!! I would HIGHLY recommend Cuan & Justin to ANYONE looking for a new or used car! Thanks for following up with me. This was the first time I have ever purchased a car from a dealer and I had a fantastic first experience, so thank you. I dealt with Mark the whole time and felt right at home with him. We got along really well so it made the whole process easy and stress free. For now I have no questions, just happily driving my beautiful little XR5 around with great pleasure. Thanks to your whole team for a great experience, from the sales and finance department, right through to reception.